Hop Store Cemetery is located 5.5 Kms west of Ieper town centre on the Casselsestraat, a road leading from the N308 Poperingseweg, connecting Ieper to Poperinge. From Ieper town centre, the Poperingseweg (N308) is reached via Elverdingsestraat, then directly over two small roundabouts is the J. Capronstraat. The Poperingseweg is a continuation of the J. Capronstraat and begins after a prominent railway level crossing. 5 Kms along the Poperingseweg, immediately after the village of Vlamertinge, lies the right hand turning on to Casselsestraat. The cemetery itself lies 100 metres after this right hand turning, on the right hand side of the road. The old hop store which gives the cemetery its name is still visible on the main road. Wheelchair access to this cemetery with some difficulty. Although Vlamertinghe (now Vlamertinge) was just within range of the German artillery for the greater part of the First World War, units of Allied heavy artillery and field ambulances occasionally stationed their headquarters there. 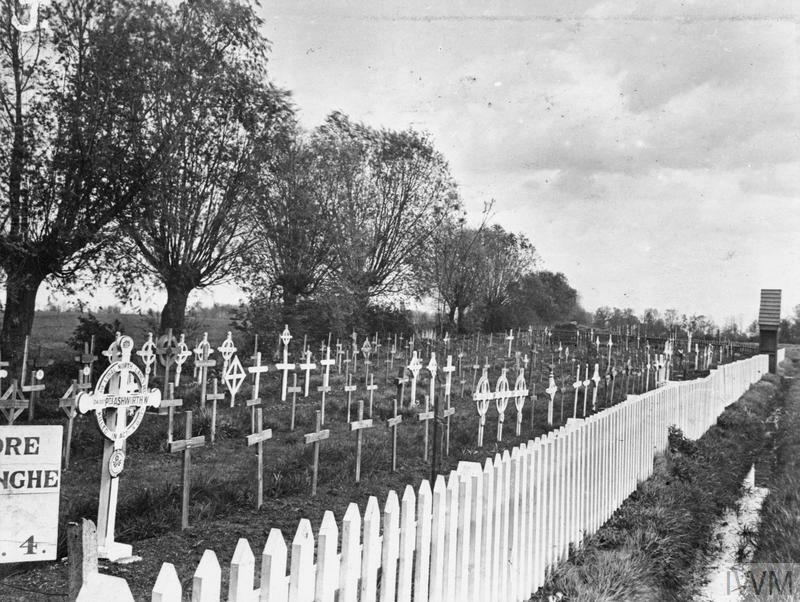 The Hop Store Cemetery, opened in May 1915, was on the safer side of the village but it remained a small cemetery because of its position between a hedge and the premises of the hop store itself. The site was low and marshy, particularly at the west end, and was drained by the Royal Engineers early in 1917. 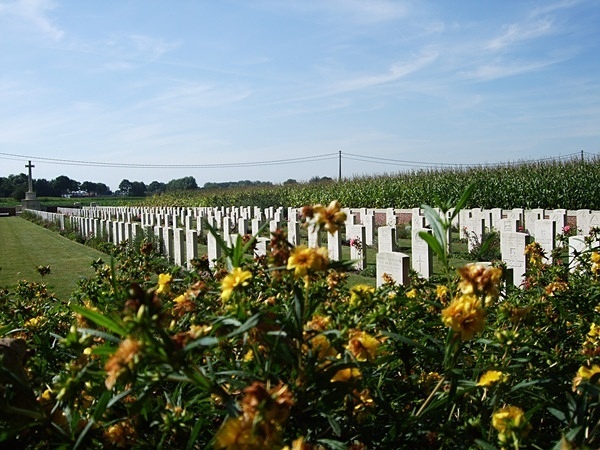 There are now 251 First World War burials within the cemetery, almost exclusively of 1915 and 1917. 9th June 1917, aged 27. Son of John and Mahala Holman. Husband of V. C. Holman, 49 Fraser Street, Burnley. Prior to enlisting, he was a beamer at Oakbank Mill. 8th August 1917, aged 29. Son of Frank and Mary Ann Rowlands, of 63, New Street, Burry Port, South Wales.